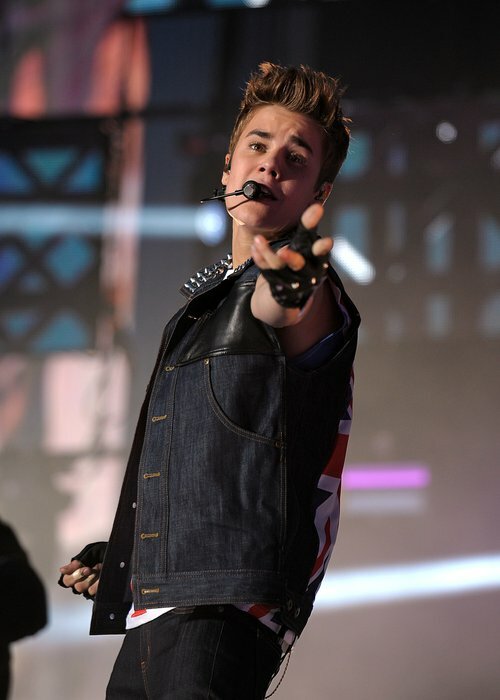 Vocal Negatives: Justin is lack of tecnic. His low notes are weak and sometime breathy. He also takes the middle and the high notes of his voice with a throat tecnic, so he sounds really like he's pushing hard in these parts of his voice. 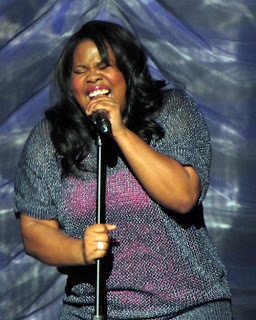 Vocal Strengths:Amber Riley has great breath control which allows her to hold notes for notable periods of time without issue. Her ability to support her voice with great technique means that these notes are sustained with no pitch deviation or lose of dynamic. She can also sing melisma and has the use of a quick vibrato. Amber's main vocal strengths comes from her extensive belting range. It has power and great dynamics, combined with a light and bright quality. She appears to have great technique when mixing her voice on the higher notes and this avoids undue strain on the vocal chords, and produces a consistent sound throughout the belting range. This allows her the impressive feat of being able to ascend to a soprano high C (C6) in what sounds like the chest register alone, when in fact it is a deft mix with her head voice. Vocal Weaknesses:Voice lacks agility, so complex vocal runs can sound clumsy and a little laboured. The voice also struggles with the lower notes and has an immature, childlike colouring to it at times. 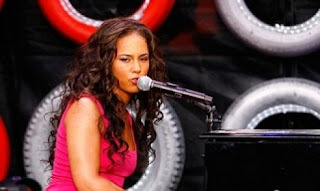 Vocal Strengths: Alicia Keys is capable of singing complex vocal runs, through the registers, and is able to hold notes for periods of time without wavering in pitch or tone. The lower range is easily accessed and has a darkness and weight that pervades through the rest of the range. It has a slight breathy quality at times, but the voice sounds comfortable in this part of the range. Alicia Keys' midrange is sweet and warm, with a smokiness and slight rasp to it. Her voice finds this part of the range easiest, as well as the extremes on either side of it, to navigate. The belting range is weighty and thick and often shares the smoky quality of the lower range. The notes above the fifth octave are most often reached without the aide of mixing with the head voice, and the resulting tone has a good dynamic, fuller sound and a rawer edge. Alicia Keys can mix her notes and produce a purer tone, but it comes at the expense of the power and fullness of the sound. The head voice is pure and bright with a weight and warmth. Vocal Weaknesses: The way Alicia Keys maintains her thicker belting tone, without mixing, could have a negative effect on the voice, ultimately inflaming it and producing a harsher sound.